Herring is one of the best baits you can use to catch salmon. Trolling and mooching with herring are simple and traditional methods used across the entire Pacific Coast. I love running herring because there is nothing complicated about it. All you need to do is find good quality bait and if you put it in a brine beforehand it will stay on your hook longer during your fishing trip. These are a few tips for the beginner looking to brine a better herring. I just dropped a tray of herring into my simple brine before a day on Puget Sound. 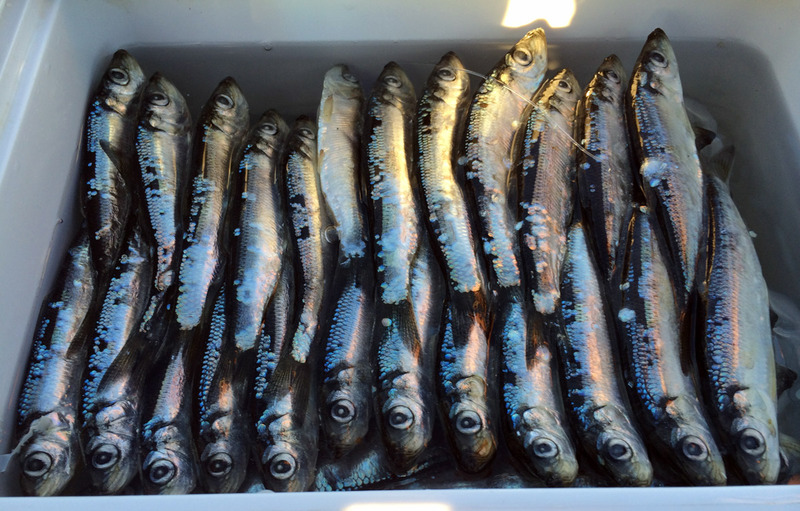 Good herring can be hard to find but the quality of the bait will determine how well it fishes. Watch out for blood vacuum packed around the bait fish or bloody eye balls; this means it was probably thawed and re-frozen. Beware of any yellowing on the herring or freezer-burnt fins; this means it is old bait. Any of these signs can be a sign of mushy herring. Mushy bait can ruin a fishing trip. Quality bait will be easy to brine and will stay firm on the hook while you are fishing. If you find a good source for bait, pick up as much as you will need for the season. Good bait goes quick! Fishing for Salmon with herring has been considered an art for generations. Herring is used to target Chinook and Coho, for which herring is a major food source. Some of the best herring fishermen have shared stellar recipes for brining herring with a bunch of goodies added to the mix. You could concoct a complex potion of dried milk, salts, sugars, anise, amino acids to get it perfect. I don’t know if I’ll ever reach that level of intensity because my simple brine keeps me happy and my fish box full enough. I think that it’s best to keep it simple. The novice should probably stick to a basic recipe of 100% brine until they have mastered it. Once you have produced a few batches of fish catching baits with the simple recipe, feel free to experiment with added ingredients if you want to. I keep my brine basic and use only two ingredients: cold water and rock salt. I have yet to lose confidence in the simplicity of quality bait and a simple brine. Start with a full brine solution. We were trolling for salmon one morning and the schools of herring were so thick it looked like it was raining! A simple brine recipe has been responsible for most of my best fishing days. I prefer to use rock salt or pickling salt and brine my herring in a solution that is 100% brine. Adding about 1 cup of salt to 2 quarts of water will give you a pure brine. How do I know if I have a brine that has full salinity? If you slowly stir in salt until it refuses to dissolve any further then you are there. If you place an uncooked egg in the brine it will float only if the salinity has reached 100%. If you purchased herring that has been vacuum sealed in its packaging, make sure to break the seal before it thaws. I cut open one end, and lift the plastic up to create a tent out of the package. You want to fish herring with as many scales intact as possible; by allowing the bait to thaw in a sealed vac-pack bag, many of the scales will be pulled off when the plastic is pulled away. Or you could just throw it frozen in the brine… this isn’t rocket science let’s get this over with and go fishing! Herring is sold frozen in a tray and wrapped in plastic. If you break the bait fish apart from one another you will find major loss of scales, which is bad! More scales equals more flash equals more fish! I remove the brick of herring from the tray and plastic and place it frozen in the brine. It will thaw and brine overnight and be just fine. 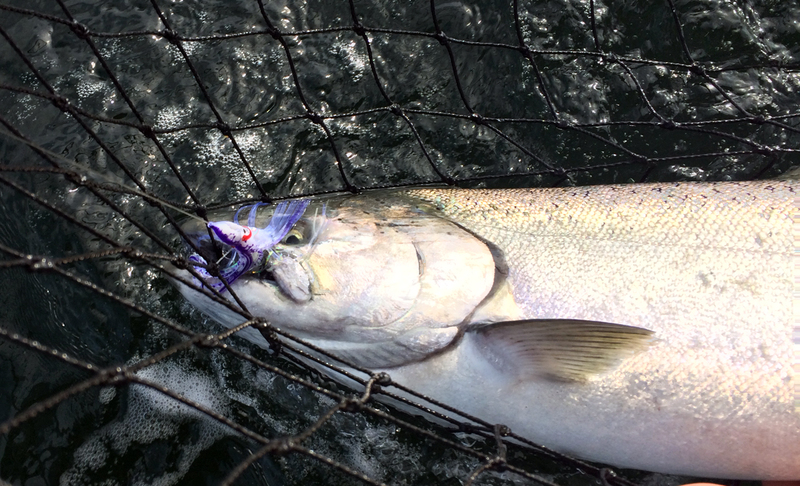 This Chinook attacked a trolling plastic squid that was tipped with a brined herring strip. Tip 6: Bluing Makes it Brighter! Adding a little bluing solution to your brine will give the herring scales more shine, which means more flash in the water, which means a greater attraction! After you feel fairly confident with your bait preparation skills, you can experiment with scents to improve the attractiveness of your bait. Many expert herring fishermen will add garlic, anise, krill or other scents to the brine to give their herring a unique flavor. I don’t know if adding scents makes a big difference in the saltwater fisheries but if you are fishing in the river or bays then it can be a game changer at times. But like I stated before, I highly recommend that you keep it simple. Brine works well when the bait is allowed the appropriate time in the mixture. I prefer to brine my bait overnight. My herring gets brined directly in the plastic container I plan on taking with me on the boat. I place the container in the refrigerator to keep the bait cool while it cures. I also have specific containers reserved for fishing that are marked BAIT. 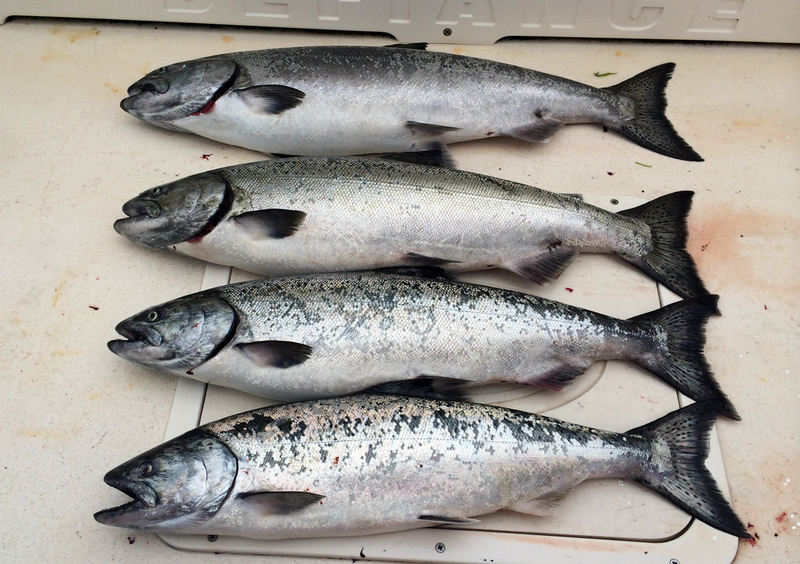 Chinook salmon love herring. Fish it whole, cut-plug or put a strip of it on your trolling lure. Keep your herring chilled! If I brine my herring in a gallon Zip Lock bag I will store it in a cooler with ice during my fishing time. Recently, I found a perfectly sized small cooler that I can brine my herring in. I have a few frozen bottled waters that I keep and I throw one in the cooler to keep the bait chilled during my fishing day. When you keep your herring cool, it will remain firm throughout the day and work very well! I hope these tips will help lead you to success on the water. Herring is one of the most effective baits used for salmon fishing. As you explore the intricacies of selecting bait, brining, rigging and fishing it, you will get it mastered before you know it! I wish you the best of luck on the water! Share your tips below in the comment area! 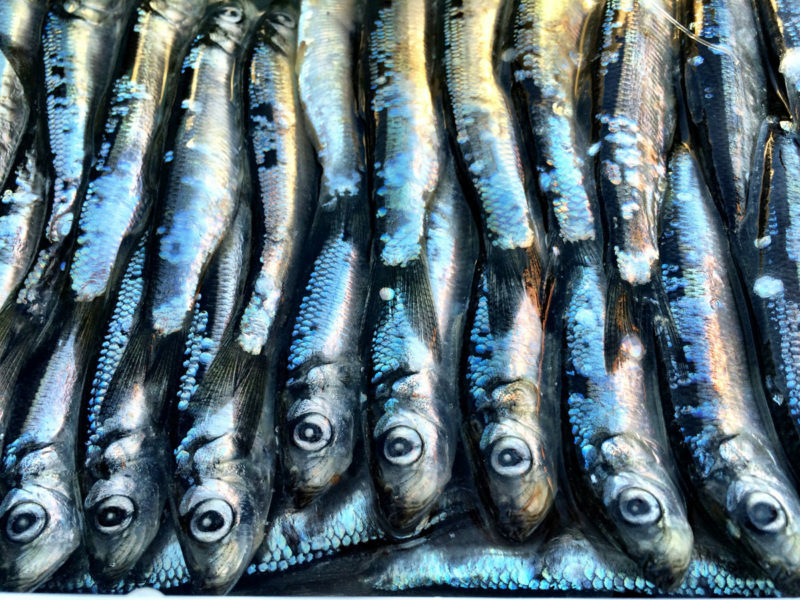 Inquiring minds want to know… what tips do you have for preparing herring? Please comment below! 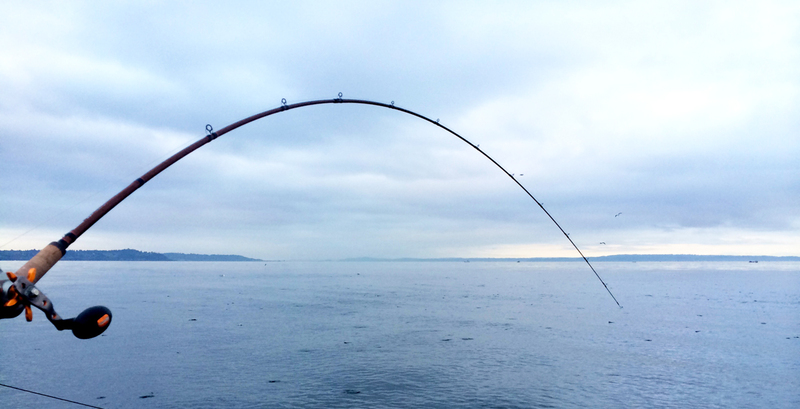 Previous Post: « Puget Sound Lingcod Opener Success! Hey Andrew, do you have a fishing report recommendation? Have you salmon fished on the Canadian side, across from PA? Tom, I haven’t fished on that side but I’ve always wanted to! If you want the most updated information on the Victoria-Oak Harbor-Sooke region check out Island Outfitters. They are a shop out of Victoria that operates a few charter boats and they are always posting reports! I will be waiting until the Sound opens in June to get back to salmon fishing. Great blog. I like to go simple on my salmon bait brine. I use canning salt and distilled water most of the time. If you want to go real fancy, bring home a little of the saltwater your fishing in and substitute that for the distilled water.﻿Thanks for sharing this blog.